With Dynamics CRM 2015 now available on MSDN for download I thought I’d get on top of it right away and setup a demo VM. 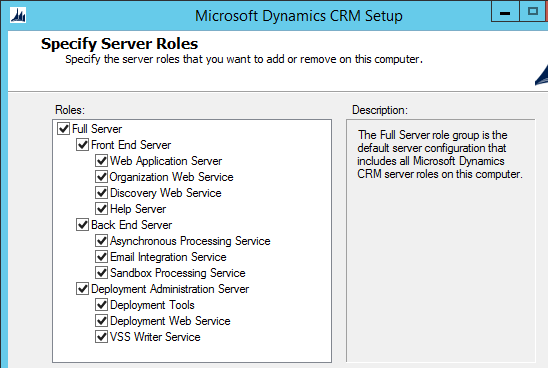 With most MS products this is pretty easy, but Dynamics has a higher requirements list. I’m using VMWare (but you could use HyperV, Virtual Box as well). Note: It’s a good idea to have a static IP address on this machine, but it’s only a warning at this stage. Install using all other defaults. 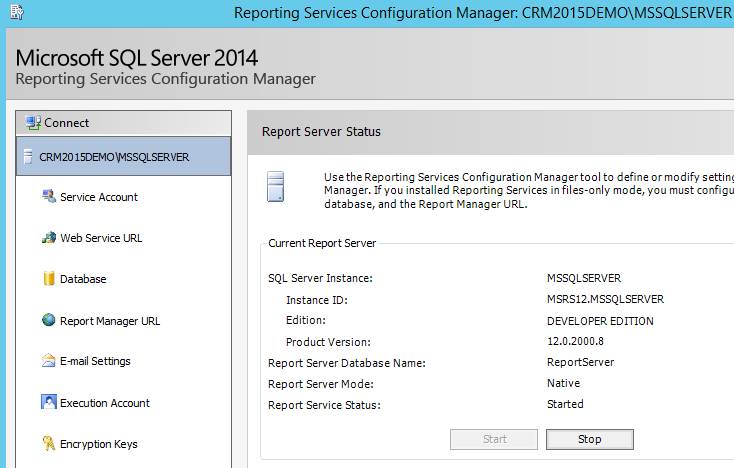 Run SQL Server 2014 Reporting Services Configuration Manager and set-up the Native Reporting Services installation. 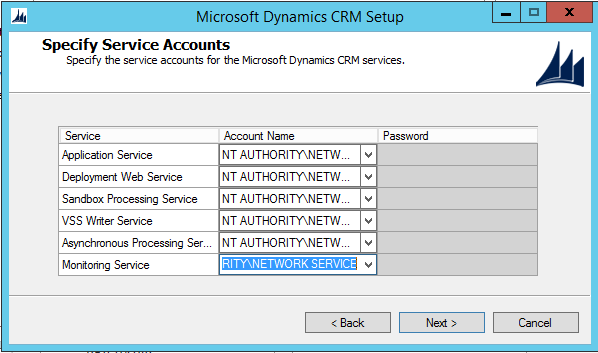 Specify Service Accounts, Now we’ll need to specify our service accounts for the various CRM Services, since we don’t have any accounts setup, we’ll end up jumping back and forth between Active Directory Users and Computers and the CRM Installation wizard, if you’re following the CRM Planning and Installation guide you would have had this done upfront 🙂 Technet has a good guide that outlines the accounts and permissions required. As this is a DEMO environment I’m going to use NETWORK SERVICE for the accounts. 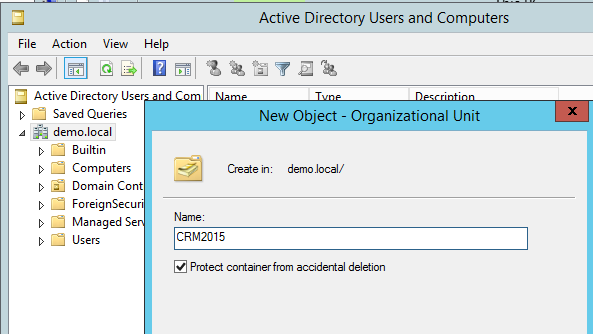 And finally let’s start CRM 2015, wow worked first go! Post installation I will still need to setup a Mail Server, Reporting Services Extensions and Email Router but these tasks are pretty straight forward. 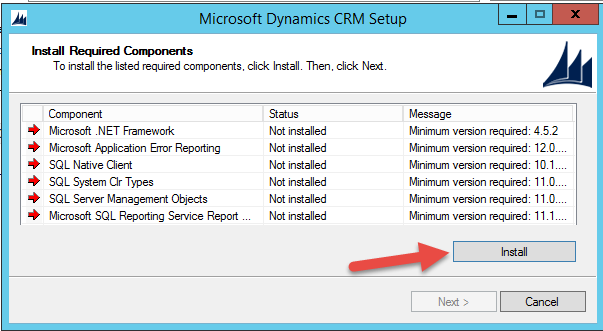 great post – I just installed CRM 2015! Thanks! Thank you so much for posting this! The Microsoft installation guides are so cryptic that they drive me nuts! This is EXACTLY what I was looking for to set up a demo environment. AWESOME! Awesome post — helped me right out as needed. It’s great to have a full thing from start to end. © 2017 Mehmet Ozdemir. All Rights Reserved.